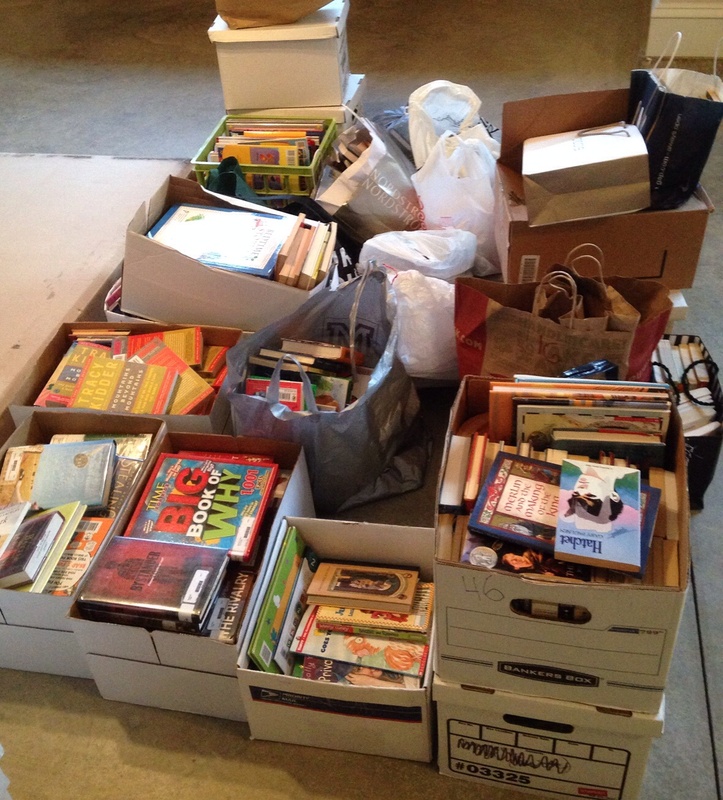 Maggie was inspired to start a book drive. Over the summer, she reached out to her friend Ryan Doane, the President of Student Council at Malvern Prep (Malvern, PA). 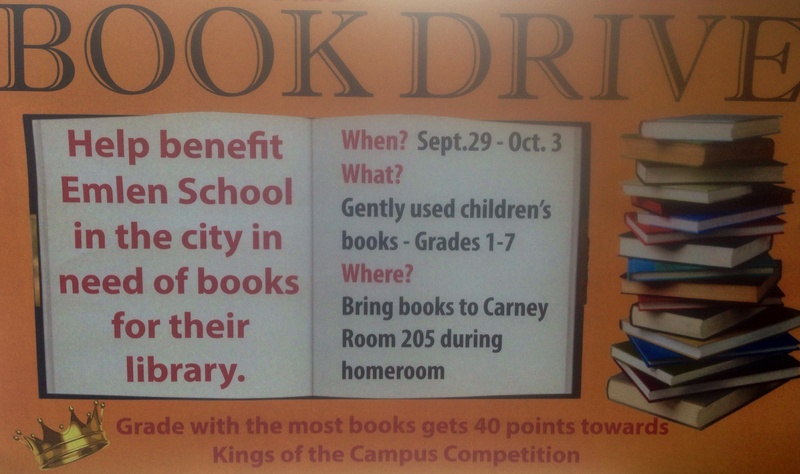 Ryan jumped at the opportunity to get involved, and the two students turned the book drive into a competition. Their goal was to collect 2000 books and they exceeded it. 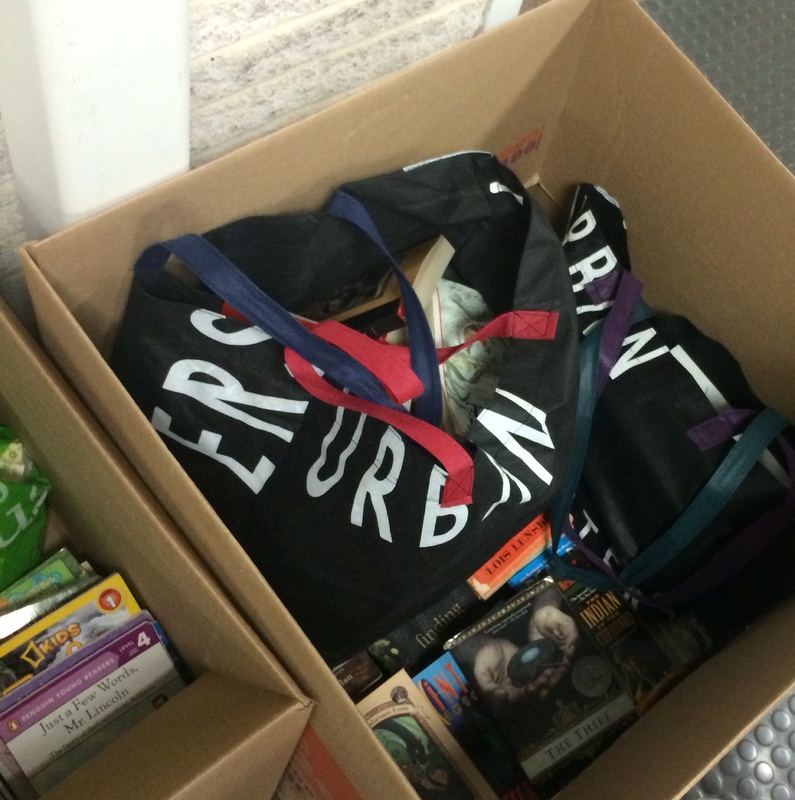 The first annual Book Drive garnered over 4000 books. Some of Notre Dame Academy’s collection!